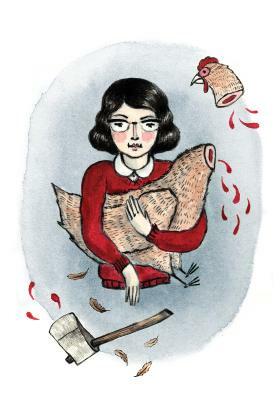 Elisabeth McNair's artwork from "Scale Highly Eccentric: A Zine of Flannery OâConnor Portraits"
This week: A story from Nicholas Tecosky about chickens, roads, and the crossings therein. Plus a weekâs worth of live-lit events, workshops, book signingsâall that stuff you need to know to dig into Atlantaâs literary scene. Read more about the âScale Highly Eccentricâ Flannery OâConnor portrait zine on the Bitter Southerner, and hear the Georgia Center for the Book reading in its entirety here. For more on Elisabeth McNairâs art, visit elisabethmcnair.com.